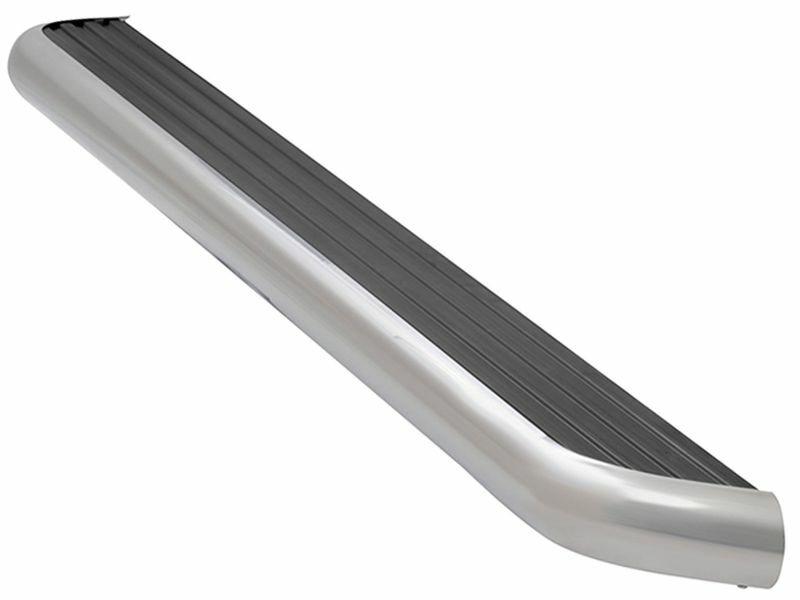 The Luverne Megastep running board construction begins with a lightweight aluminum core for weight reduction. The core encased in 18-gauge stainless steel for a clean polished look. The stainless steel trim also provides additional strength. A large 6.5-inch board width allows for sure footing. A highly slip resistant 5-inch wide rubber tread sits just inside the stainless trim, which creates a lip for additional grip. For security and longevity, high strength powder-coated steel brackets are used. These brackets are designed for each specific vehicle application. This allows for a fast easy installation with no drilling required. Luverne MegaStep running boards are a piece of cake to install; takes about an hour to install. Also, most models are a no-drill installation. If you do have an issue or just have a question, don't hesitate to give us a call at 877-216-5446.